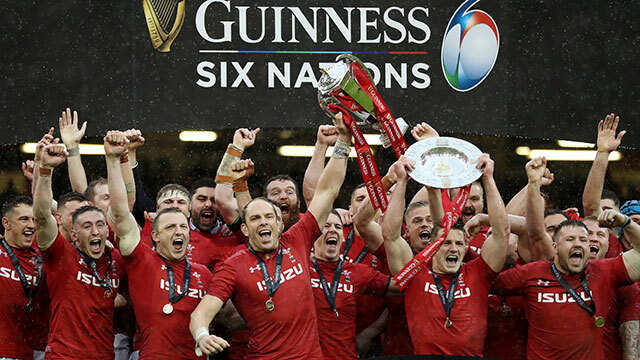 This entry was posted on March 19, 2019 at 3:00 pm and is filed under Biographical, Cardiff, Rugby with tags Grand Slam, ireland, Six Nations, Wales. You can follow any responses to this entry through the RSS 2.0 feed. You can leave a response, or trackback from your own site. Speaking of a different type of grand slam, I read today that a baseball player has been offered $430 million to extend his contract by 12 years. If one counts all his time, that’s $68 per minute. If one counts only time playing and training, then $300 per minute or more. I still remember the last 4-day season, so don’t have my usual pre-season optimism…..
How `local’ is your local? Good question, for the signpost in the village it is in says that my village is a mile and a quarter away, whereas the signpost to that village from mine says one mile. Evidently space is nonmetric in Shropshire. I can drive to the Sun (such is the pub’s name) in five minutes, which exceeds the speed of light, which might explain it. How long does it take to drive back? 5 * 1.25 = 6.25 minutes, of course. That reminds me – just about on topic – of a gig some years ago at a pub called the Moon at Garway which is near, well, nowhere in particular. We found the place without too much trouble, thanks to the OS and their excellent one inch maps, but a friend who was travelling separately lost his way in the lanes. Seeing a man in a field nearby, who was leaning over a gate and watching him with interest, he went over and asked for directions. By the way there’s no punch line to all this, indeed it did occur to my friend at the time that there’s very little point to what follows. To spare you nearly all the details, it seems there were once three pubs in or close to the village: the Sun, the Star, and another one whose name I disremember, but let’s call it the Globe. However the locals with characteristic wit always referred to it as the Moon – Sun, Moon and Star, see – and over time the name stuck. The years went by and both the Sun and the Star closed, leaving just the Moon, which is still open, except that isn’t its proper name.